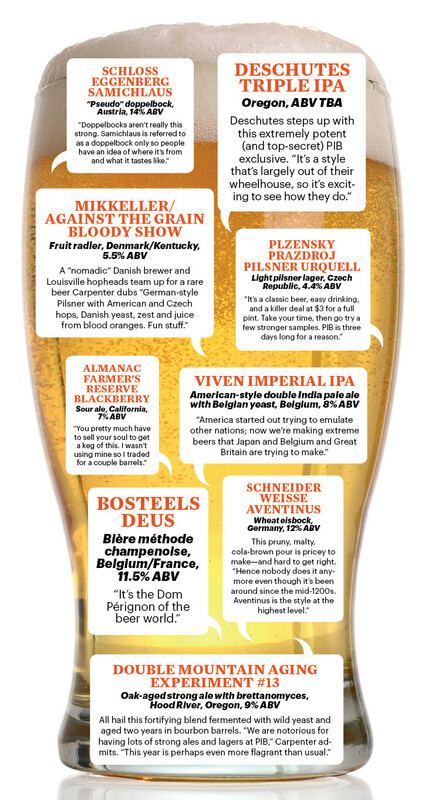 That wry maturity (and a conspicuous absence of candy-colored novelty beers) sets this three-day fest apart as much as its highly eclectic lineup of 225 global offerings, from Belgian classics and strapping American strong ales to one-off international collaborations—many of them rarely found on Oregon shelves or taps. The list is so highly curated that some importers woo Carpenter aggressively, offering him their rarest beers to make the cut. We tapped the beer industry vet and Seattle bottle shop owner to provide his own sudsy short list for those of us just reaching brew adulthood.